Lipids are a group of naturally occurring compounds. Lipids you may have heard of are fats, sterols, and fat-soluble vitamins such as vitamin A.
Lipids are responsible for energy storage, and the structure of cell membranes, among other things. Cholesterol is one of the compounds called sterols and is a fatty substance found in the blood. Cholesterol is a major component of every cell wall in the body, and helps to stiffen the cell membrane. It is also required for the production of some hormones, such as oestrogen and testosterone. It also helps produce bile acid which helps you to digest food. Finally, it is used in the manufacture of vitamin D in the skin from sunlight. How does cholesterol get around the body? Cholesterol is made primarily by the body’s liver. It circulates in the blood attached to proteins, creating compounds known as lipoproteins. There are two types of lipoproteins : Low-density lipoproteins (LDL), and High-density lipoproteins (HDL). LDL carries cholesterol to the tissues and organs. HDL carries cholesterol away from the tissues and back to the liver. In what foods is cholesterol found? 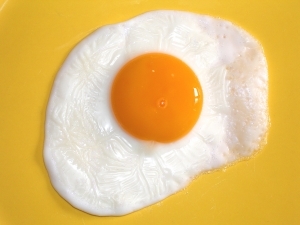 What happens if we have excess cholesterol in the blood? The body uses cholesterol from both food sources and that manufactured by the body. Roughly 15% of cholesterol used is from food, and 85% is made by the body. The amount of cholesterol produced by the body can be genetic, so a person with high blood cholesterol does not necessarily eat a lot of cholesterol rich foods. LDL cholesterol is considered to be “bad” cholesterol, and is thought to cause narrowing of the arteries, by leaving fatty deposits behind, leading to heart disease. HDL cholesterol is considered to be “good” cholesterol as it appears to keep levels of LDL under control. So high LDL levels increase the risk of heart disease, and high HDL levels decrease the risk. Can we do anything to raise HDL levels and lower LDL levels? Increasing or decreasing intake of cholesterol-rich foods little effect on cholesterol levels as a relatively small proportion of cholesterol used is from food. When reviewing whether the reduction of saturated fats in the diet reduces cholesterol levels or not I have to say the jury is out at the moment. Some people say yes, others go on to discount the various studies made on the correlation between dietary fat and cholesterol. All I would say here, is don’t cut out fat and replace it with sugar in your diet – ensure the alternatives to fat eaten are healthy choices such as fruit and vegetables. Great information about cholesterol. Thanks!